Millions of friendly bacteria in Probiotic Solutions sort out the bad bacteria on bathroom, kitchen and laundry floors, turning every surface into a happy ecosystem. 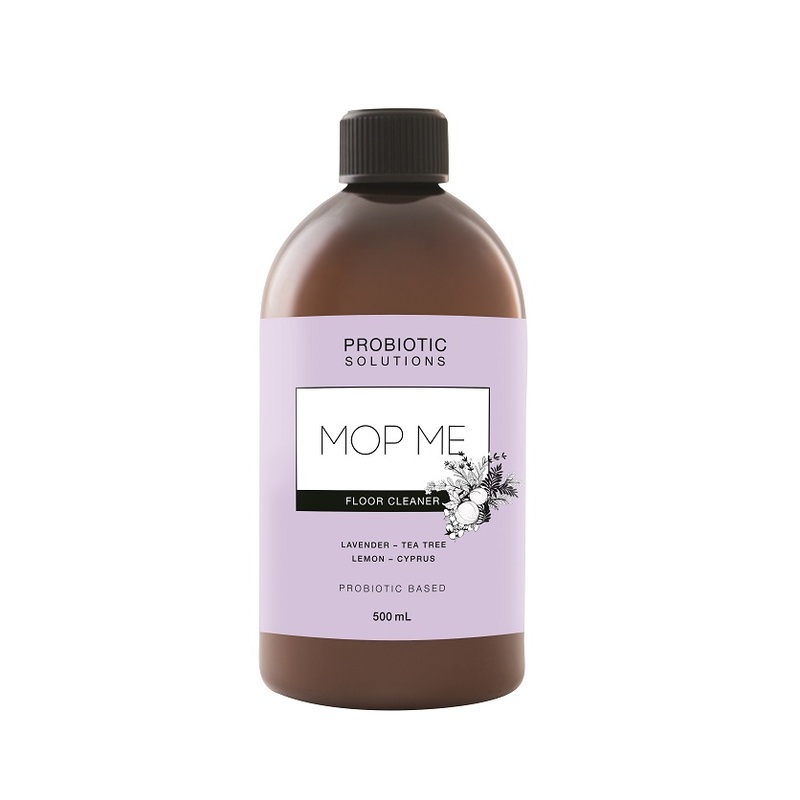 And because probiotics are natural living organisms, Mop Me floor cleaner keeps working long after you’ve finished. It’s the way cleaning was meant to be. Although it’s powerful probiotic stuff. It’s the most concentrated of all our products so it needs to be diluted. Follow the instructions on the bottle before giving your floors a relaxing massage with probiotic goodness. However, you can also use Mop Me concentrated. Swish it around your frying pans to melt away fat and oil. Or throw it on the BBQ to give it a new lease on life. We’re yet to find a place that doesn’t benefit from a little Mop Me. Try it yourself.